Admiral, you have accepted a new challenge. Congratulations. Next year, you will be Visiting Professor of International Security at Webster University. Why did you decide to start this collaboration with an American university? Can you highlight the major topics you will deal with during your course? I met Professor Oreste Foppiani (Head of the Department of International Relations at Webster University), when I was Chief of Staff. His passion, competence and intellectual lucidity on maritime issues in general and maritime security in particular struck a chord. My contribution to the curriculum of the MAIR will concentrate on the renewed importance of seas and oceans vis-à-vis future peace in the world. It is my intention to offer my students the direct testimony of a man who participated in events of international significance. My students – through the analysis of case studies – will take advantage of a synthesis of the effects of political choices mediated by decisions taken in the field by military and civilian actors. Hence, they will also see lost opportunities and seized opportunities, which determined the outcome – often by chance – of many crucial events. Among the different operation theaters, we will analyze together what happened in Lebanon, Libya and the Persian Gulf. You served your country wearing the Italian Navy uniform for over 40 years and had an adventurous life spent at sea, flying and navigating around the world. However, inside the uniform there is always a man. How was this great love for the Navy born? What were the milestones, which marked this path? Passion for the sea, the aspiration to be part of a “band of brothers” of which to be proud, the desire for adventure, the willingness to step up your game, were and are the main reasons. I had wanted to be a sailor since I was a child. 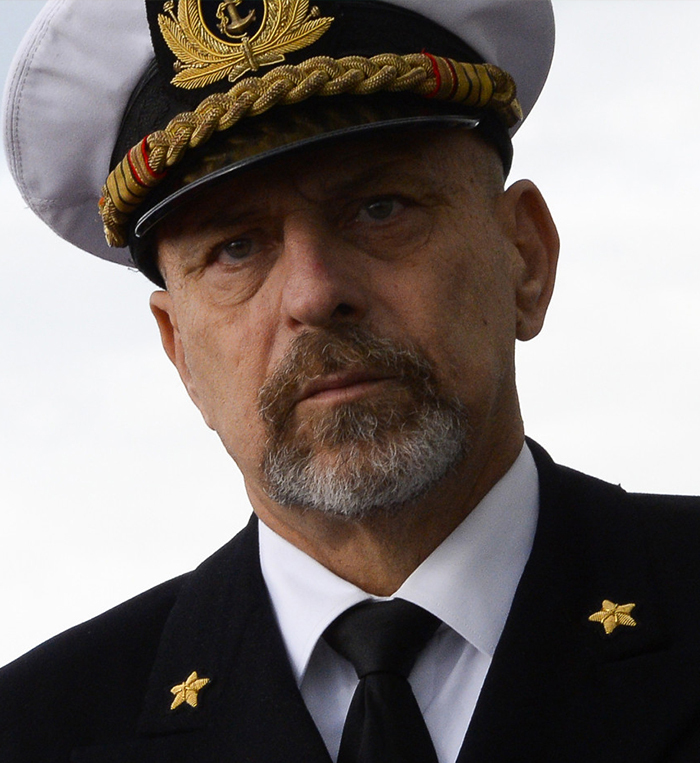 My leadership roles in the Italian Navy marked my professional life. They gave me the opportunity to participate – often as a protagonist – in crucial international events such as the Lebanese Civil War following the truce between Israel and Hezbollah in 2006, the strike on Gaddafi in 2011 and the ensuing humanitarian crisis in the Mediterranean Sea. Finally, yet importantly, the relaunch of the Italian Navy during my years as Chief of Staff of one of the 10 best navies in the world.